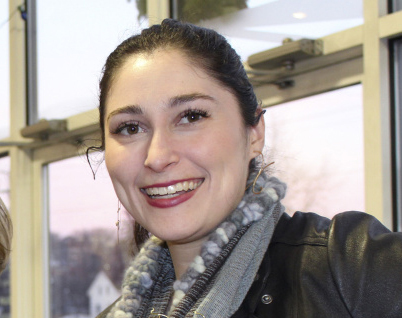 The owner of Bixby & Co. in Rockland wins $10,000 and a trip to New York to meet the designer. Kate McAleer, owner of the craft snack bar business Bixby & Co. in Rockland, has been named a Tory Burch Foundation fellow, a designation that comes with a prize of $10,000 and a trip to New York to visit with the famous designer. McAleer was one of 10 winners selected by the Tory Burch Foundation Fellows Competition for women entrepreneurs, and is the only winner from New England. Kate McAleer, owner of Bixby & Co. in Rockland, which makes healthier craft chocolate bars. The $10,000 prize is a business education grant, McAleer said. “I’m considering a couple of different programs I would attend to develop more knowledge on how to grow my business,” she said. The fellowship also includes a three-day workshop at Tory Burch Headquarters and the opportunity to pitch for a $100,000 grant. McAleer, who said her win is “really exciting for Maine,” has a degree from New York University and a certificate in pastry art and culinary management from The Institute of Culinary Education in New York. In 2015, the U.S. Small Business Administration named McAleer the Maine Young Entrepreneur of the Year. McAleer founded Bixby & Co. in 2011. The company makes snack bars for the natural candy market that contain three to five times more protein and fiber and 30 to 50 percent less sugar than other candy bars. The bars are made without corn syrup, palm oil, artificial flavors, preservatives or additives. The bar called “Nutty For You” was a national 2016 Good Food Award winner for best confectionery product.